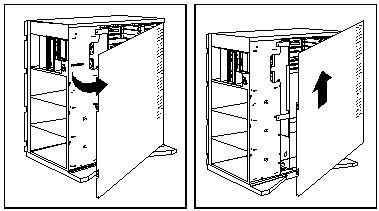 Remove the door by carefully lifting it up and off the hinges. 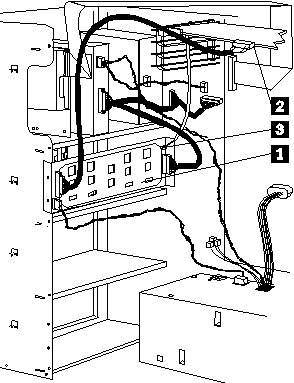 Cable routing in a non-disk-array model, with the backplane in bank C1 cabled to an IBM SCSI-2 Fast/Wide Adapter/A 2 in expansion slot 1. 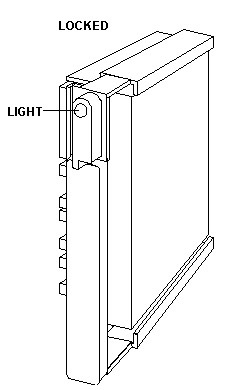 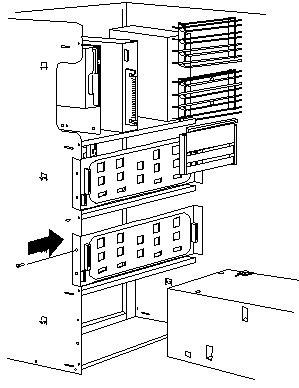 Non-disk-array model, with banks Cand D populated, and both banks connected to SCSI-2 adapters. 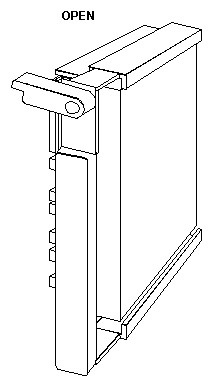 A third SCSI-2 adapter 1 supports the backplane in bank E2. 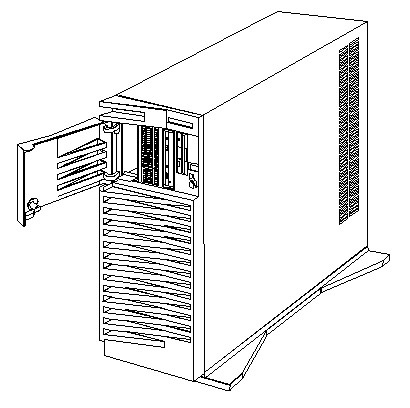 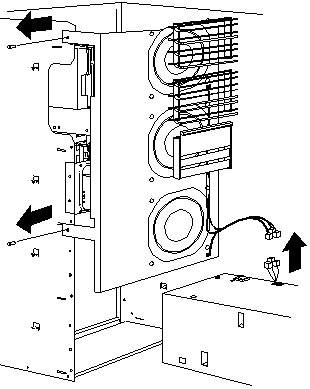 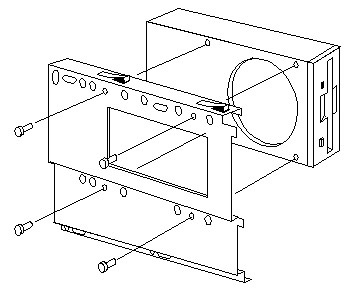 Cable routing in a disk-array model, with the backplane in bank C1 cabled to an IBM SCSI-2 Fast/Wide Streaming-RAID Adapter/A 2 in expansion slot 1. 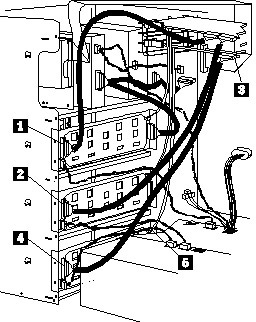 A DASD status cable 3 connects the adapter to the backplane. 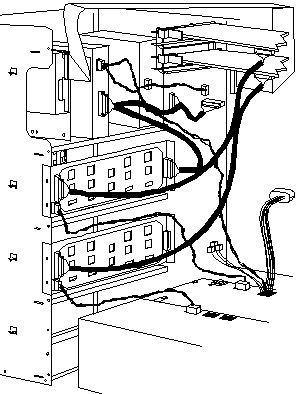 Cable routing in a disk-array model with a new backplane installed in bank D 1. 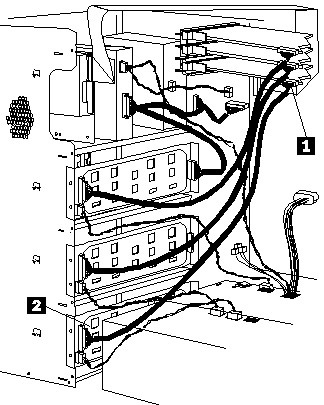 A DASD status cable 2 connects the adapter to the backplane. 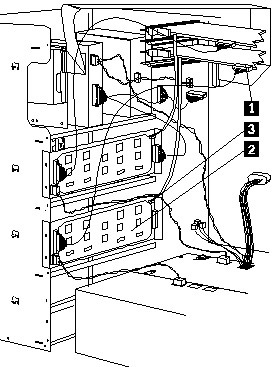 - Two separate cables are connected to the adapter. 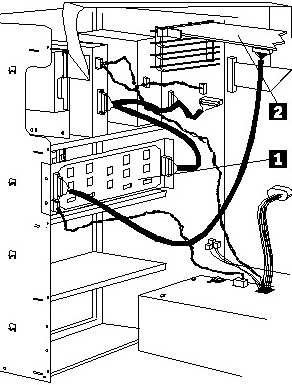 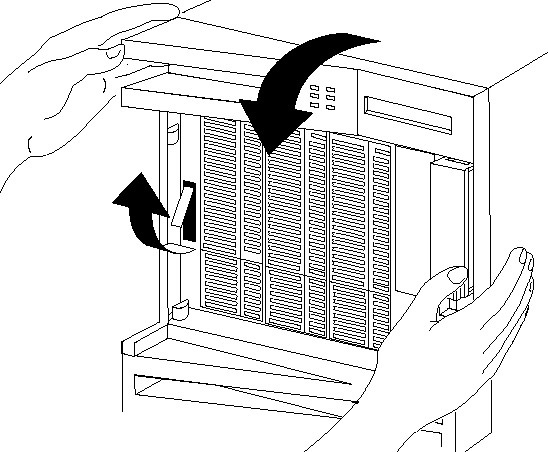 One cable connects to the backplane in bank C; the other cable connects to the backplane in bank D.
- When you install a backplane in banks D and E, you must connect the DASD status cable from the RAID adapter to the backplane. 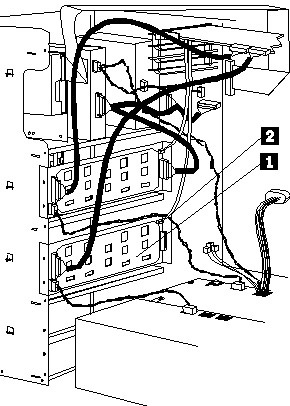 Attempting to rebuild a fixed disk with the cables connected in this manner will probably result in customer data loss.